America pretends not to be a colonial power, so how did it end up with so much territory? Years ago I was invited to give a history talk on a cruise ship in exchange for passage, and the company suggested I do something on “the American empire”. The entertainments director must have had a sense of humour. This was a voyage from Southampton to New York and the passengers were wealthy Americans, which meant Republicans — and they weren’t in the mood to hear a snooty Englishman tell them about colonies they were convinced they never had. 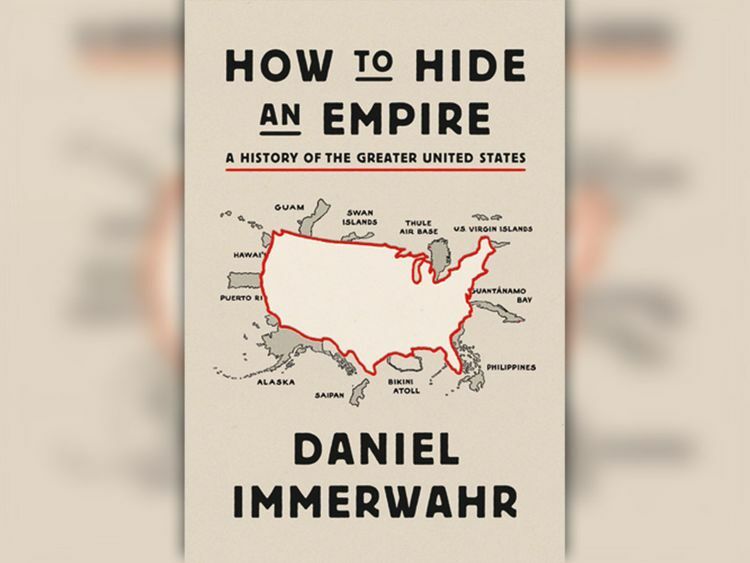 “But you really did have an empire!” I said as I barricaded myself in my cabin, and this smashing new book by Daniel Immerwahr proves I was right all along. Americans might like to think of themselves as an exceptional republic that only acts selflessly in world affairs, but exceptional nations never sit still. They grow and they conquer. The first expansion was westwards, across continental America, right out into Alaska (purchased from the Russians in 1867) and Hawaii (stolen from the Hawaiians in 1898). The second wave was nakedly colonial. In the 1890s, America decided to help overthrow what remained of the Spanish empire in the Caribbean and Pacific, and nationalists in the Philippines initially welcomed the arrival of US troops as brothers in liberty. But when the Spaniards surrendered Manila, they chose to give it to the Americans rather than the people who actually lived there. Tensions grew. War broke out. Even though the newly arrived Americans were smaller in number, they were better trained and armed and, to their shame, ruthless. Rudyard Kipling, the poet laureate of British imperialism, wrote the Americans some lines of encouragement: “Take up the white man’s burden/ Send forth the best ye breed/ Go, bind your sons to exile/ To serve your captive’s need.” America had finally arrived among the community of empires. The war was not uncontroversial — the Democrats called it “criminal” — and it proved painful for both sides, although one was most definitely more equal than the other. It’s estimated that 4,196 US soldiers died, more than three quarters from disease; the Filipinos may have lost a staggering 775,000. The Americans slowly drew their own conclusions: they were discovering that territorial conquest was expensive and bloody, even when there were no human beings around to resist. Immerwahr’s most fascinating chapter recounts the forging of an empire of guano - aka bird dung. The dung of certain sea birds proved amazingly rich in nitrates necessary for farming, and the US government, eyeing an opportunity, announced that if its citizens should discover an uninhabited island covered in white effluence, they should consider the territory to be “appertaining” to the United States. Ninety-four islands were seized under this pretext — a white gold rush that was just as unpleasant as it sounds. Bird dung is toxic and caused disease, and it calcified best on barren rocks overrun with rats. In 1889, a revolt broke out among the miners on Navassa island, and when a warship was sent to investigate, the government was so appalled by the working conditions that it decide to commute the sentences of the rioters. Wasn’t there a more American — i.e, cheaper — way of running an empire? Cuba, pinched from the Spanish in 1898, suggested there was. Rather than occupying the island as it had done the Philippines, Washington gave the Cubans technical independence on the condition that they guaranteed America’s financial interests. If they didn’t, the US would return with guns. For more than 30 years, the Cuban constitution granted its fair-weather friend the right to invade if the mood took it, and America did so four more times. This “extraordinary deal”, writes Immerwahr, “gave the United States many of the benefits of colonisation without the responsibility”. This new strategy, allied with the invention of synthetics, opened up a third phase in empire-building: economic globalisation. Rather than invading and occupying a country in order to extract its resources, the new imperialism involved either a short invasion or a coup, followed by the installation of a friendly government, retreat and, finally, trade. This could genuinely work out to the benefit of both countries — Japan was transformed into a peaceful democracy by US occupation — and, ironically, laid the seeds of America’s current status anxiety. The new economic colonies grew so fast that they started to out-compete the factories in Ohio and Michigan, leading to closure and unemployment. Moreover, even the empire of the dollar required some permanent physical commitment if it was to have any teeth. The Philippines eventually got its independence; Hawaii and Alaska became states. But whatever happened to all those guano islands? Many of them were repurposed into America’s gigantic, madly expensive network of military bases: dots on the map, the “pointillist empire” that has been the source of so much misery. Osama Bin Laden explicitly stated that one motivation for his terrorist campaign was the presence of US bases in Saudi Arabia. According to Immerwahr, the US military did its upmost not to offend the locals. But even the most light-touch, well-mannered empire is still an empire, and resistance from nationalists and religious radicals was inevitable. What makes it hard for many Americans to understand this dynamic is that they have been conditioned for most of their history — bar the outright colonial period — to believe they’re a nation that keeps itself to itself. This excellent volume is full of moments of comic self-realisation, such as the “liberation” of the Philippines from the Japanese in 1945. Many GIs did not realise that the Japanese had in fact liberated the Philippines from the United States. Immerwahr tells the story of a US soldier who was astonished to find the locals spoke English and had never known that this distant land had, for a while, been part of his own enlightened republic. “He’d been briefed on his mission, shown maps, told where to go and whom to shoot. Yet at no point had it dawned on him that he was preparing to save a US colony.” Incredible.